I embroidered a hat for my Mommy to take her retired life to the next level. 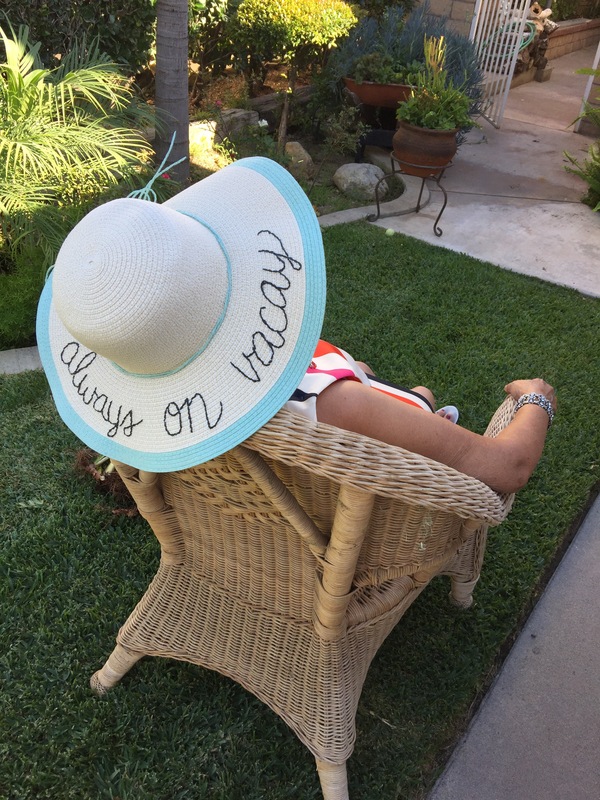 I found a wide brimmed hat at Target and used embroidery yarn to hand sew on this fun phrase: always on vacay. Then, I made her model it for me. 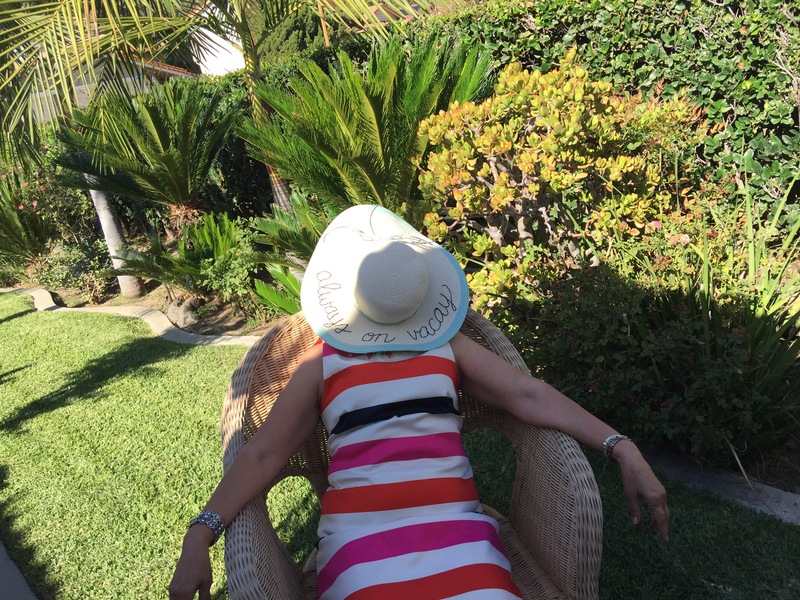 She’s a natural vacationer! It’s perfect for actual vacations, or for enjoying the garden or taking walks. What do you think? 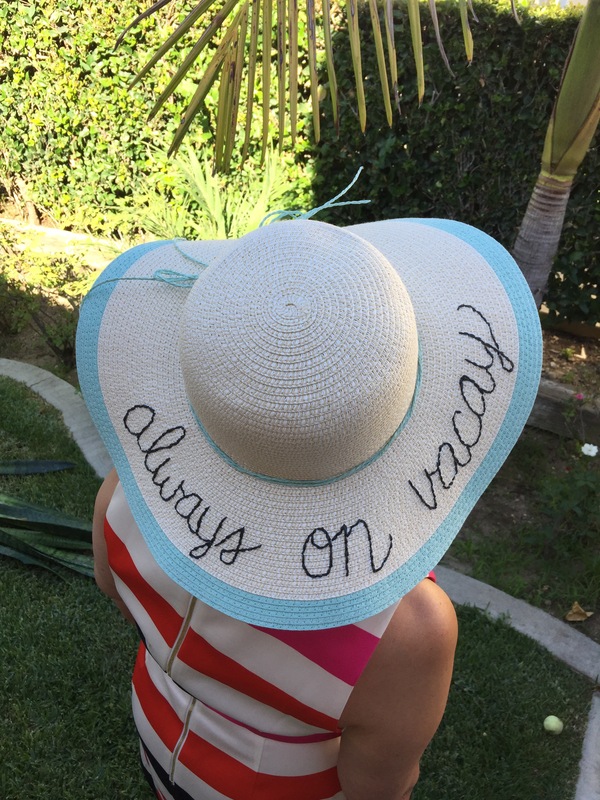 What other fun phrases belong on giant hats? Share below!